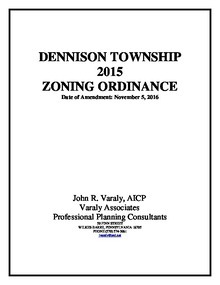 Download "DENNISON TWP ZONING ORDINANCE AS AMENDED.pdf"
Jack Varaly is Dennison Township's Zoning Officer. 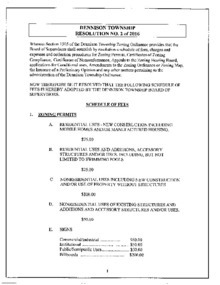 All complaints must be made in writing and signed. 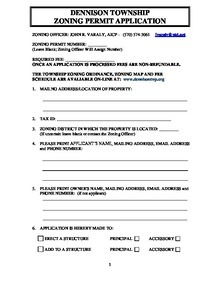 Download and fill out all pages of this application and forward to Zoning Officer Jack Varaly to apply for a zoning permit. 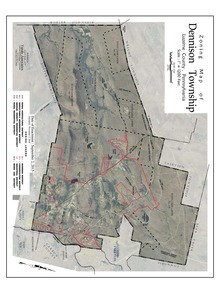 Download "Dennison Township Zoning Map Revised 12-7-16.pdf"